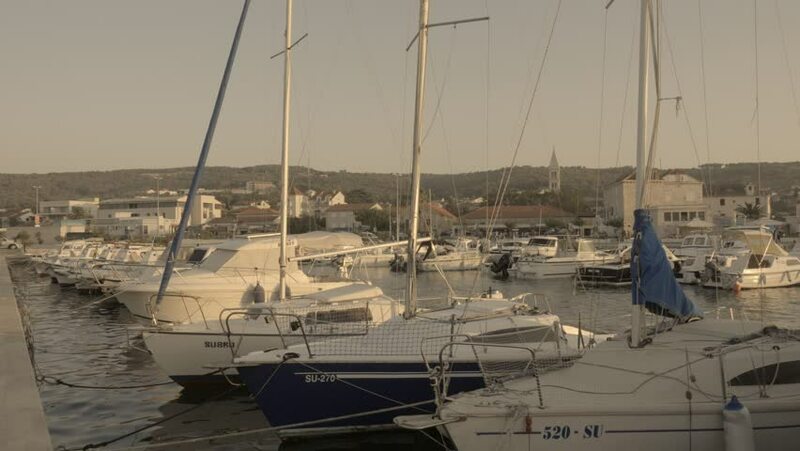 Supetar, Croatia / Island of Brac - 08.01.2017: Marina in Supetar, Island of Brac, Croatia. Ships and sailing boats at pier. Summer sunset time. 4k00:11Split, Croatia- April, 2016: View of sailboats moored to a concrete dock. hd00:05Luxure yachts in Black sea on sunset background. Russian Federation. Sochi. 15/01/2017. 4k00:14Marina as seen from St Francis Yacht Club in San Francisco, California. Shot on Red Epic.